A huge deal has taken shape in the exhibition industry as Informa has concluded talks to acquire UBM. According to a Reuters report, both companies have agreed a deal on Wednesday which would see Informa acquiring UBM for 5.2 billion US Dollar in cash and stock. Informa now has until February 13 to make a firm offer. If the deal goes through, it will be by far the largest M&A activity ever seen in the exhibition industry. Informa’s Chief Executive Stephen A. Carter will be chief executive of the new group, Reuters says. A merged company would replace Reed as largest organiser globally, with a share of around 6% of the global exhibition market. By midday in Europe on the day after the announcement, shares of UBM were trading around 10% up compared to yesterday’s closing, while Informa were trading around 10% down respectively. 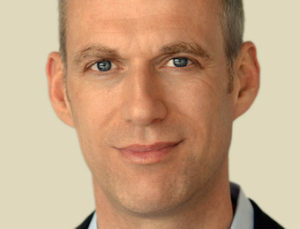 Reed‘s share price stayed stable. At the end of the week of the announcment, UBM shared were up to 904 pence, close to the bidding offer Reuters has reported. Feedback from financial analysts reviewed by UFI on Wednesday is mainly positive, but pointing out that Tuesday‘s announcement of the ongoing talks included very little details about a possible deal. Analysts have been expecting the trend towards industry consolidation to accelerate. UBM has been focussing its activities on Exhibitions and events in recent years, implementing a strategy they call ‚Events First‘. Within Informa, the exhibition and events business currently accounts for roughly one third of the groups turnover. 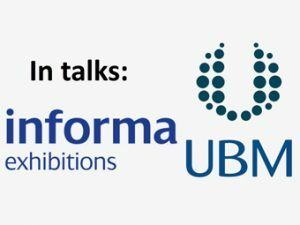 Analysts point out that, if UBM‘s business is calculated in, the majority of Informa‘s renevues would stem from exhibition activities. Both companies, Informa and UBM, have acquired significant additional business in recent years. Informa took over US-based Penton, while UBM acquired Allworld, an organiser focussed on South East Asia. British media reports speculate that company staff working outside of the companys’ headquarters in London would likely not be affected by the transaction, whereas several hundred jobs in London might be under review. Around ten years ago, Informa and UBM already held talks about a merger, at the time with UBM in the lead to take control over Informa. Back then, the negotiations did not lead to a bid. 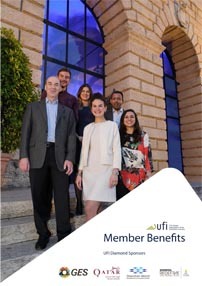 The proposed deal will certainly take centre stage on Cannes on January 25/26, as UFI’s Global CEO Summit brings together top decision makers of the industry at this annual curtain raiser event. Among other speakers there, Tazeeb Rajwani, Professor of International Business and Strategy and Head of Executive Education at Essex Business School, University of , will lead a session on “Changing Gears in M&A”.